Abu Bakr al-Balkhi said: The month of Rajab is the month for planting, the month of Sha’bān is the month of irrigating crops, and the month of Ramadān is the month of harvesting the crops. He also said: The likeness of the month of Rajab is that of the wind, the likeness of Sha’bān is that of the clouds and the likeness of Ramadān is that of the rain; whoever does not plant and sow in Rajab, and does not irrigate in Sha’bān, how can he reap in Ramadān? Now that Rajab has passed, so what will you do in Sha’bān if you are seeking Ramadān? 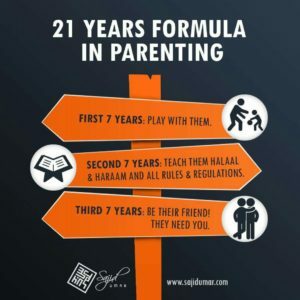 This is how your Prophet (sallAllāhu ‘alayhi wasallam) and the early generations of the ummah were in this blessed month. So what will you do? Assalamualaikum everyone. With everything happening in the world and the many questions you ask and have been asked; I share below a passage from the writings of a great Imam of our proud past. Please read with care and consideration. Sheikh Sajid has been travelling since the 1st of May and will be on travel till the end of September InShaAllah. This will be a period in which he will deliver several community development lectures, seminars and workshops across several countries, and also will be involved in meeting the team members and conducting several project development programs for the projects Allah has blessed him to be a part of. This charity feeds 9 million meals a year. Over 3 million of Zakah distributed to date. 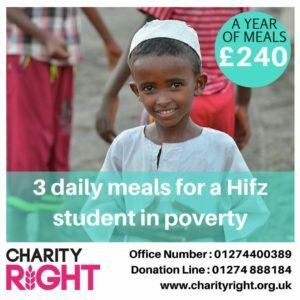 I’ve just spent a week in the UK under the patronage of one of our charities; Charity Right, a charity that feeds over 9 million meals to children living in the most famine struck areas on earth. It is a week that has kept me away from my family and you all, and a week that has been a means of replenishing my heart and soul as well. Everyone needs spiritual upliftment, even propagators of the religion, and my time with Sheikh Tawfique Chaudhury and our teams helped develop my Imaan in a special way. There is just no way to describe the emotions I feel when I am with my brothers and sisters in the service of the ummah for the sake of Allah. For me it is exciting and addictive. I went to the refugee camps in Calais, France. The situation there is dire. None of us would give up our life for this place. But then… I met this Legend Wallahi! He And his family cook 1000 meals daily for some of the most unsettled people on earth! His young boy can cook 80kgs of rice a day and they work 24 hours a day in the service of their fellow brothers and sisters. They have given up everything and emptied their bank balances to assist the ummah for the sake of Allah. There are 6000+ people here of the ummah of Muhammed SAW being helped by a handful of volunteers, 95 percent of which are non-Muslim. Where are we O Ummah of Muhammed SAW! Sitting in your library, office, Facebook and whatsapp/Telegram groups maybe a good thing, but I seriously doubt it being the RIGHT thing. Please watch this video and take great inspiration from brother Jamaal and his amazing family! Please share this video as well. May Allah bless you all and make us aspire to inspire. Ameen.